Igloo delivered a central exhibit at the 2015 UAE Government Summit in Dubai, alongside New York-based design agency Tellart, with content by Specular. 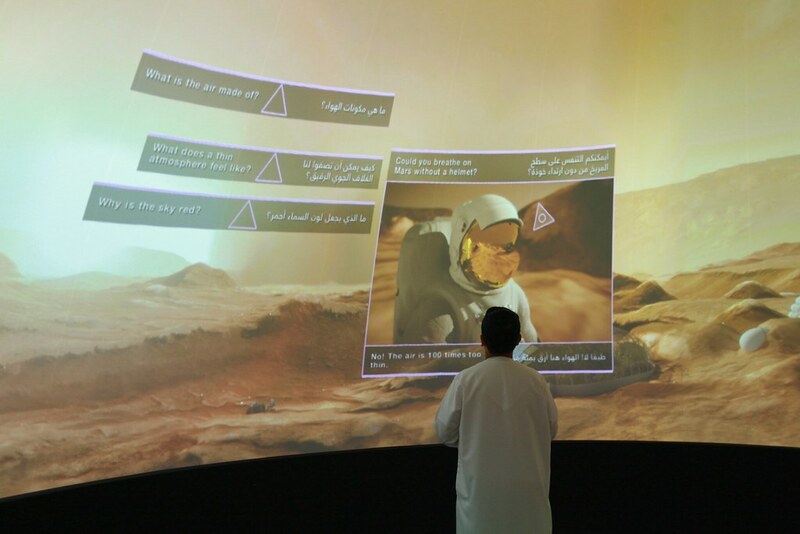 A 12.5 metre dome was home to the interactive Learning Lab, immersing visitors in a 360° alien landscape. Through dynamic exploration of the digital content, they could discover the challenges man will face when trying to survive and thrive on Mars. For this installation, we created our very first 'to-the-floor' negative pressure projection screens – enabling us to halve our installation times and slash our shipping costs.